Business Management is probably one of the most useful fields you can study since it deals with so much of the professional world. Any career you walk in to will make use of some of these skills. If you are interested in this world then we have good news: there are many different Business Management courses you can study! What Business Management courses are there? Because of the nature of this field, there are a wide variety of courses you can take in Business Management. It all depends on the type of experience and skills you wish to learn. Most courses teach you the basics, and then you can head into a more specialised direction if you study further. For example, ICB Business Management covers all the skills you need to be successful in any business venture. You also get the opportunity to further the studies and do a full 36-month course. This programme can take you all the way to a National Diploma in Financial Accounting. This is an NQF Level 6 qualification, which is regarded as quite an achievement. It shows you are quite skilled in this field and allows you to apply for a number of more advanced jobs. There are of course other types of Business Management courses, all which are different lengths and levels of qualification. The best thing to keep in mind is your end goals. Where do you want to go and what do you want to accomplish. Will a short course be fine in the direction you are moving, or will a regular course be a better fit? Which is better: Short courses or regular courses? Depending on your personal needs, either type of course can be ideal. If you have the time and no other commitments, a regular length course would be the best bet, as it teaches you a more complete understanding. These courses can generally take anything from 24 to 36 months to complete, so be sure you have enough time to do it right. Your other option is studying a short course. This might be more ideal if you have a limited amount of time and money. Short courses can be anything from 3 to 12 months. Something to keep in mind is your physical study options. With both types of courses, you are able to study full-time, part-time, or as a distance learner. Some training providers are Skills Academy, TWP Academy, Home Study Group and The Learning Group. Do I need matric to study Business Management courses? This depends on the specific course you wish to study. It would always be best to contact your chosen training provider (college) and ask them the specifications. 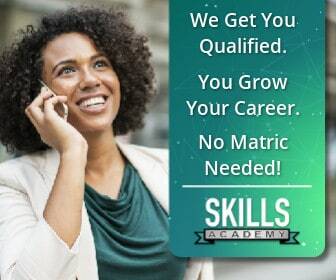 There are courses that you definitely don’t need matric. These are the ICB Courses provided by the colleges and groups mentioned above. ICB Qualifications are accredited courses that anyone can study. These courses teach you all the necessary skills to make a success of your professional career. They offer a variety of courses and programmes, making it ideal for people who want to start their future the right way. These courses are ICB Financial Accounting, ICB Public Sector Accounting, ICB Office Administration, ICB Business Management, and ICB Entrepreneurship. Studying any of these courses will set you on the right path to becoming a success. Not only do they provide you with nationally recognised qualifications, but they also allow you to start working as soon as possible. With most of these programmes, you receive your first qualification after 12 months. This enables you to start working in your field and earning money while finishing your studies! Business Management can provide a bright future, but you have to work hard! If you want to start the next chapter of your life, click here!